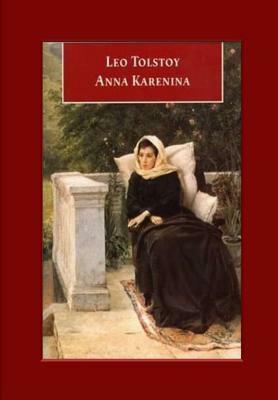 Anna Karenina is the tragic story of a married aristocrat/socialite and her affair with the affluent Count Vronsky. The story opens when she arrives in the midst of a family broken up by her brother's unbridled womanizing-something that prefigures her own later situation, though she would experience less tolerance by others. A bachelor, Vronsky is eager to marry her if she will agree to leave her husband Karenin, a senior government official, but she is vulnerable to the pressures of Russian social norms, the moral laws of the Russian Orthodox Church, her own insecurities, and Karenin's indecision. Although Vronsky and Anna go to Italy, where they can be together, they have trouble making friends. Back in Russia, she is shunned, becoming further isolated and anxious, while Vronsky pursues his social life. Despite Vronsky's reassurances, she grows increasingly possessive and paranoid about his imagined infidelity, fearing loss of control. A parallel story within the novel is that of Konstantin Levin, a wealthy country landowner who wants to marry Princess Kitty, sister to Dolly and sister-in-law to Anna's brother Oblonsky. Konstantin has to propose twice before Kitty accepts. The novel details Konstantin's difficulties managing his estate, his eventual marriage, and his personal issues, until the birth of his first child. The novel explores a diverse range of topics throughout its approximately thousand pages. Some of these topics include an evaluation of the feudal system that existed in Russia at the time-politics, not only in the Russian government but also at the level of the individual characters and families, religion, morality, gender and social class.